Download the following materials to learn more about Brineura® (cerliponase alfa). 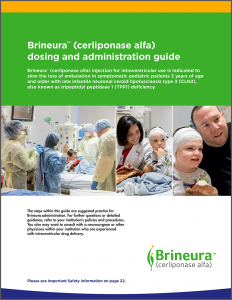 This comprehensive guide provides detailed information and helpful tips about Brineura dosing and administration. 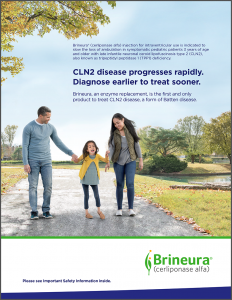 This useful brochure gives you insights into how you can expedite diagnosis of CLN2 disease to connect patients with care sooner. 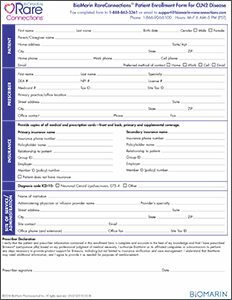 Get the full Brineura Prescribing Information. 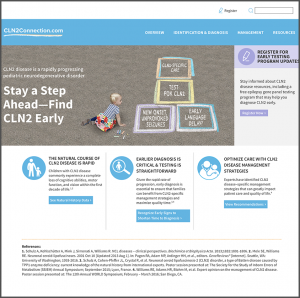 Visit this website to learn more about CLN2 disease. 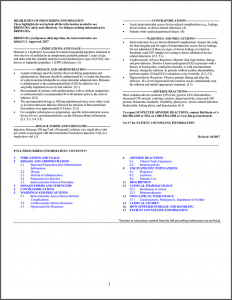 Download the following materials for patients or their caregivers. Talk to caregivers about completing and submitting these forms to enroll their child in BioMarin RareConnections™. 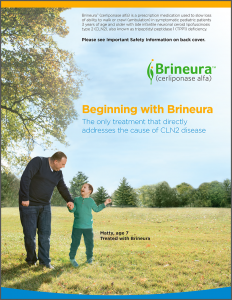 This convenient brochure gives your patients and their caregivers a quick introduction to Brineura as they get started with treatment. Take the first step to help your patient get dedicated one-on-one support with BioMarin RareConnections™. To enroll your patient in BioMarin RareConnections, you must complete the Patient Enrollment Form.